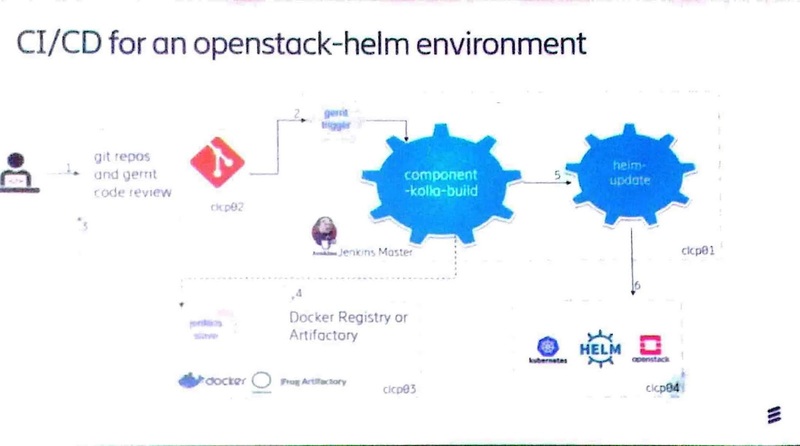 16th June 2018, I attended OpenStack Meetup at Ericsson office. Let me share my notes for readers of this blog : Express YourSelf ! Shashi Singh from Altiostar Networks discussed about EPA (Enhanced Platform Awareness). Shashi explained nicely NFV MANO architecture to build the context and introducing the acronmys. Telco NFVI providers are: RedHat, WindRiver, VMWare, Mirantis etc. VNFM is categorized as specific VNFM and Generic VNFM. It supports three interfaces: Ve-Vnfm-vnf, Vi-Vnfm and Or-Vnfm. He explained how EPA can eliminate the need of passing through virtualization layer for data packet, if the required VNFs are running at same CPU socket. I confirmed my understanding that, one example of EPA is let all VNFs for user-plane data having single CPU afinity. 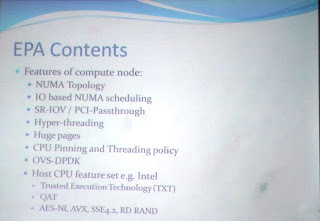 We also discussed about SR-IOV single root input/output virtualization, cpu pinning, threading policy etc. Sometimes within storage node, one can leaverage use of SR-IOV, DPDK etc to support more I/O. TOSCA standard defines combination of NS-D (Network Service Descriptor) and VNFD (VNF Descriptor). Shashi also mentioend about Queens Release, Cyborg framework, nova, ironic etc. I came to know about this website https://www.telecomtv.com/ During tea-break, someone commented, that Kubernetes is now open source, but it is very old. Google is working on new technology / product named by Omega that is yet to be open sourced. 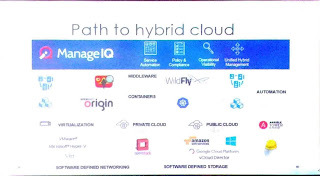 Palaniswamy from Tech M, explains about ManageIQ (with demostration) as Multi Cloud Management Platform. ManageIQ supports public clouds like : Amazon Web Services, Microsoft Azure, Google Cloud Platform; OpenStack based private clouds; containers like Kubernetes, OpenShift Origin etc. ManageIQ internally uses PostgreSQL DB. Ansible Tower is used for configuration and automation. Sukant J R and Manoranjan Sahoo from Ericsson presented about CI/CD for containerized openstack development based on Helm. We also discussed about 4 types of people in IT industry always remains. (1) Developers (2) Support engineers (3) Integrators and (4) Testers. The new technology comes and goes. One needs to work, as per his/her core strength. Apart from that, Uday T.Kumar from Ericsson shared some insights about OpenStack Summit and how to contribute to OpenStack community. He also acknowledged that Bangalore OpenStack community is very active and sharing the latest updates. 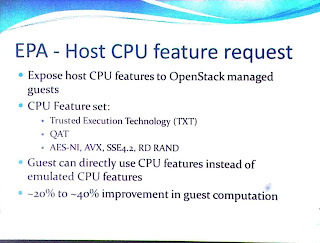 Later on those updates are known to entire world at OpenStack summit. Disclaimer: I captured this notes, as per my understanding on best effor basis. So it may not accurately refelct the spearker's view. Any corrections are welcome.